Almost everyone has heard of satellite television, but not a whole lot of people know how or why it got here. Satellite internet services have broadened the scope of communication in today’s society, states NetworkReviews.net. People in remote areas such as Antarctica, Ethiopia, and Russia even have access to satellite television. Nobody is being left in the dark anymore, and that can only be a positive thing. Satellite services help connect the world to each other, and it will only help countries to start understanding other countries better. Although some of the programming may be a lot different, people are starting to connect in ways they never could of before. One of the most nagging questions surrounding satellite services is, how did they start? How did satellite television begin? The world was once a communication black hole of sorts. People on the other side of the planet would have to wait for weeks as their favorite television programs were shipped across continents. That all changed in the summer of 1962. 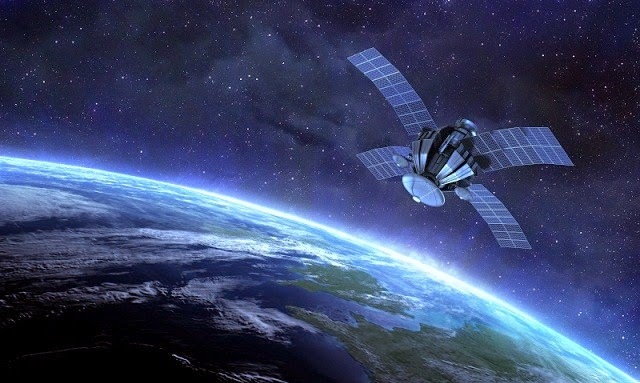 The world’s first satellite specializing in telecommunications was released into the Earth’s orbit, and the entire world was able to tune in to the same television broadcast at the same time, for the first time ever. This is no small feat. The Telstar satellite had started a telecommunications revolution. The entire way that the world viewed television was changing right before the world’s eyes. Many people are familiar with the companies AT&T and Bell Laboratories. These two companies are the start of the satellite revolution. Because of their hard work, millions of people across the United States and Europe were able to see the very first broadcast via Telstar satellite. In fact, launching the satellite was a milestone of its own. AT&T and Bell Labs had to pay NASA the sum of 3 million dollars, which was more like 3 billion dollars in 1962, just to launch their satellite. This also started a revolution of a sense within NASA. The launching of the Telstar satellite was the very first privatized mission that NASA accepted. The pioneering satellite, Telstar, had a relatively short lived life, however. It was essentially blown away by radiation from Soviet and American nuclear weapons testing, which was done at high altitudes. The biggest evolution of the satellite happened in the 1980’s. Multiple satellites were sent into space, and now the images were being broadcast to more than just the United States and Europe. The satellite industry took off, and more competition started taking hold. Satellite television started as one grainy image of the Statue of Liberty, and is now regularly bringing people television programming. The cable companies start to fall apart with the introduction of the satellite services revolution, but more people worldwide are able to view television images that could never have been possible. Satellites are now used by hundreds of broadcasting companies around the world. Not only satellite television service providers are using the satellites to broadcast information. Satellite television created a gateway to satellite communications of all kinds, and because of the Telstar’s success in 1962, more people are able to stay in touch with the world around them. In fact, a fraction of the stars that are viewable in the night sky are now communications satellites.